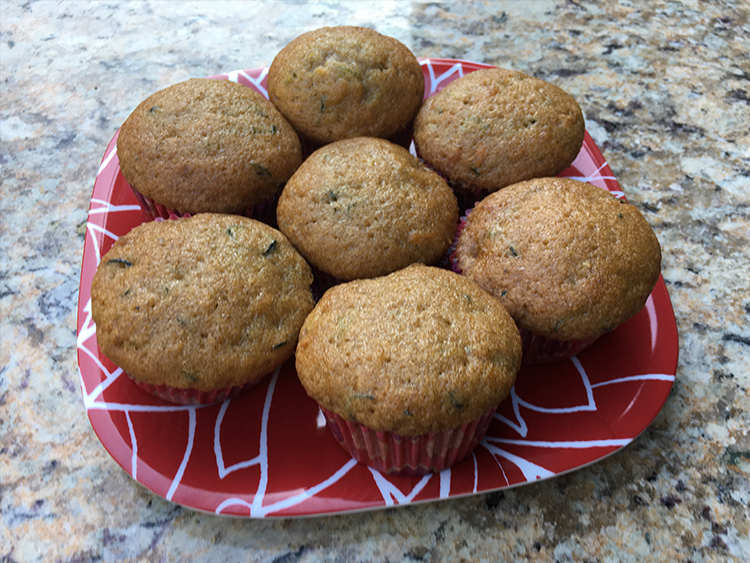 Zucchini muffins are a great way to sneak some veggies in while satisfying your sweet tooth. Preheat your Caliber oven to 350º F. Mix together dry ingredients (flour, cinnamon, salt, baking soda and baking powder) and set aside. Beat eggs. Mix in the oil, sugar, zucchini and vanilla. Add mixed dry ingredients and stir well. Put baking cups in cupcake baking tins and fill with mix to about 3/4 high. Bake for 25-30 minutes. Place a toothpick in the center of the cupcake to check doneness. If the toothpick comes out clean with no batter, then the muffins are definitely done. Enjoy!